Whatever their goal– a professional career or personal enjoyment – each student is offered equal attention and opportunity to perform. The Woodbridge School of Dance is an Associate Member of The Society of Russian Ballet. The School has a reputation for exceptional training in classical dance under the guidance of a highly qualified faculty. The school offers classes in classical ballet, pointe, pre–ballet, jazz, tap, musical theatre, hip hop, contemporary, acro and open ballet-elementary level. An extensive dance program is offered which consists of classes in the above mentioned areas of study. Whatever their goal– a professional career or personal enjoyment – each student is offered equal attention and opportunity to perform. Students are assigned to classes according to their level of training, their ability, and the effort they are prepared to make. This guarantees steady progress and instills self–confidence in the students. Class advancement is considered on the basis of individual achievement, and classes are not promoted as groups. The benefits of classical dance training soon become apparent to students of all ages, as they gain poise, grace and confidence. Awareness of the arts and physical and mental discipline are of as much value to today’s generation as at anytime in the past. The Woodbridge School of Dance is dedicated to the development and execution of dance and the enrichment of all our students through education and performance with a spirit that values the diversity, integrity and potential of all individuals. Gilly Chaplin was born in San Francisco and received her early training at The Royal Academy of Dance in London, England. In 1976, she received a full scholarship to study at the renowned National Academy of Dance in Illinois. By 1980, she moved to New York to continue her professional dance training at American Ballet Theatre, Joffrey Ballet and Dance Theatre of Harlem. She later returned to Illinois to dance with The National Ballet of Illinois. She has also performed with The Pittsburgh Ballet Theatre and Pennsylvania Ballet Company. Her energy, enthusiasm and entrepreneurial spirit lead to the founding of The Woodbridge School of Dance (WSD) (formerly The Ballet School of Woodbridge) in 1983. The school, now in its 4th decade, is known within the dance and business community for its high standard of excellence in the teaching and training of young people in an array of dance forms. She holds her advanced teacher certificate with the Society of Russian Ballet and is a member of its national executive committee. 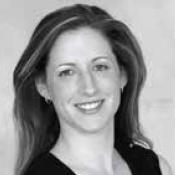 Ms. Chaplin also serves on the Program Advisory Committee of George Brown Dance and the partnership between George Brown College and Canada’s Ballet Jörgen. Previously, The Woodbridge School of Dance received the Vaughan Business Achievement Award for Product Quality and Quality of Service. As a thriving innovative and core cultural centre in Vaughan, WSD is widely regarded for its commitment and dedication to its students, parents and the art of dance. WSD also takes great pride in its professional and courteous customer services while maintaining a warm and nurturing work environment. The school continues to live up to its promise of excellence in the field of dance training and dance program creation. 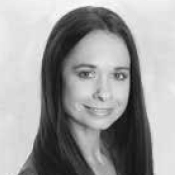 As a former professional ballet dancer, Ms. Champion brings a wealth of knowledge and experience to her teaching. She began her dance training at the CAPAD Ballet Company in South Africa, moved on to study at the National Ballet School, The Lois Smith School of Dance, Les Grands Ballets Canadiens, The Royal Winnipeg Ballet, Banff School of Fine Arts and Randolph Dance Theatre. Ms. Champion’s professional career includes performances with Les Grands Ballets Canadiens, Banff Festival Ballet and as a principal dancer with Saskatchewan Theatre Ballet and The Alberta Ballet Company. Formerly a member of the Canadian Actors’ Equity Association, she has also appeared as a dancer in several of the Canadian Opera Company’s productions. In addition to her career as a professional dancer and teacher, Ms. Champion has an extensive musical background which includes studies as a pianist at the Royal Conservatory of Music where she achieved first class honours, and as a talented ballet accompanist. Over the years, Ms. Champion has been devoted to teaching dance at Marr MacDance and Theatre Arts, The Dance Studio, Cardinal Carter Academy for the Arts, The Canadian Academy of Music, Dance and Dramatic Arts, The Randolph School of the Arts and Dance Teq at the National Ballet of Canada. In 1995, Ms. Champion joined the faculty at WSD. As Ballet Department Head, Ms. Champion choreographed many ballets including Hansel and Gretal, Pinocchio, Thumbelina, Sleeping Beauty, The Wizard of Oz, Snow White, Cinderalla with 1st soloist Etienne Lavigne of The National Ballet Company, restaged Études and restaged Act 2 of Swan Lake with principal dancers Chan Hon Goh and Guillaume Côté of The National Ballet Company as well as with principal dancers Greta Hodgkinson and Etienne Lavigne of The National Ballet Company. Ms. Champion continues to motivate our students in the pursuit of excellence. 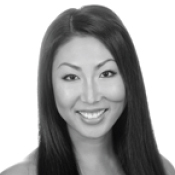 Gina Kim has diverse training in Tap, Jazz, Ballet, Pointe, Lyrical, Modern, Musical Theatre, Hip-Hop, National dance and Korean Traditional Folk dance. Ms. Gina received Honors in numerous C.D.T.A Tap and Jazz exams, Advanced Cecchetti and RAD Ballet exams and Advanced I.S.T.D National dance exams. Ms. Gina is now a certified adjudicator in association with I.A.D.A. Greater accomplished credentials include: Teaching Diploma and certificate from Canada’s National Ballet School, Associates in The Cecchetti Society of Canada, Royal Academy of Dance, Imperial Society of Teachers of Dancing, Dance Masters of America and Canadian Dance Teachers Association. Ms. Gina has attended master classes and workshops in Toronto, New York, Los Angeles, Chicago, Japan, Korea and Winnipeg. Her performing experience includes Snow White and the Seven Dwarfs with Quinte Ballet School, The Nutcracker with The National Ballet School, Guys N’ Dolls, Bye-Bye Birdie, Grease, Chicago and Westside Story. After graduating with her BFA Honors in Dance from York University, Ms. Gina furthered her education at Canada’s National Ballet School, and joined the teaching staff in the Associates Program in 2006. Ms. Gina was honoured to join The Woodbridge School of Dance in 2003 and is ecstatic to continue working with the talented staff and students. 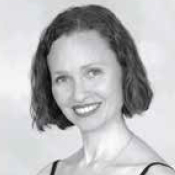 Sharon Lindsay has been teaching and choreographing at The Woodbridge School of Dance since 1999. She received her formal dance training in Toronto, studying Jazz, Ballet, Tap, Acrobatics and Musical Theatre under the direction of Susan Spring, and has successfully completed both R.A.D and B.A.T.D exams. Sharon has had the opportunity to compete in many local and North American dance competitions as part of an award winning company, and continues to attend workshops and master classes. Ms. Lindsay holds a teaching membership with the British Association of Teachers of Dance, in which she received the highest distinction on her exam. Sharon continues to strive to share her passion for dance and theatre with each and every one of her students. Nancy danced with Feld Ballets/NY, The Cleveland/San Jose Ballet, the Alberta Ballet and the Wilkes-Barre Ballet Theatre and is an award winner at the prestigious New York International Ballet Competition (1987). She has performed principal roles in Eliot Feld’s A Footstep of Air, The Jig Is Up, and Bloom’s Wake, Agnes de Mille’s Rodeo, The Moor’s Pavane by Jose Limón, Roland Petit’s Carmen and Serenade and Donizetti Variations by George Balanchine. Nancy danced the Sugar Plum Fairy and Maria in The Nutcracker and the title role in Birgit Cullberg’s Miss Julie, among many others. Ms. Greyeyes holds a Master of Fine Arts in Choreography from York University, Society of Russian Ballet Associate Teacher Certification and is the Artistic Associate of Signal Theatre. Ms. Greyeyes has taught children of all ages in both Canada and the United States and is passionate about sharing her knowledge and experience with her students. Katarina Rajkovic is considered at the forefront of Hip Hop dance training in Canada. A master in creative movement, she is Founder and Director of Dance Kraze Productions, DKOC Dance Kraze Open Classes and the Artistic Director/Choreographer of The HoneyKats performing Dance Company. A graduate of York University with an honours degree in Fine Arts Dance, Ms. Rajkovic is a leading authority on modern dance, kinesiology, production and choreography. She has instructed hip hop and jazz classes at various workshops across North America and in Europe, and now in Toronto. DKOC recently hosted L.A.’s Finest Dancers’ Master Hip Hop and Jazz Funk Classes. The group has worked with some of the biggest artists in the world, including Madonna, Jennifer Lopez, Christina Aguilera, Usher and Beyonce. Among her performance credits are: FIDA International Dance Festival Toronto, Dance Ontario Dance Weekend at the Premiere Dance Theatre and Casino Rama. Taylor Bullock is a passionate performer who was born in Vancouver, British Columbia. While in Vancouver she had the opportunity to train in various styles of dance and worked under well-known choreographers such as Rachael Poirier and Liz Tookey to name a couple. Growing up she competed across Canada and the United States and performed in places such as Las Vegas, San Fransisco, Los Angeles and Portland. Following her time in Vancouver she moved to Toronto, Ontario to further her training with the The Conteur Academy. 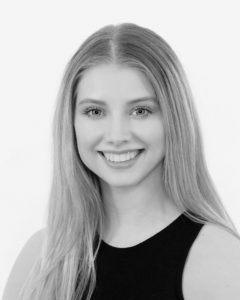 While a student of The Conteur Academy, Taylor has had the chance to work with choreographers such as; Eryn Waltman , Dani Matte , Sheona Bell , Julia Cratchley , Ryan Lee , Kelly Shaw , Scott McDonald and Colleen Snell. Her high energy and flexibility have the tendency to grab attention as a performer and she exudes vibrancy. Taylor’s upbeat personality coupled with her honest nature keeps her always focused on details and evolving as a performer and teacher. At WSD our Student Dance Curriculum includes: Classical Ballet, Russian Ballet Examination Classes, Pointe, Jazz, Tap, Hip Hop, Acro, Musical Theatre and Contemporary. Our Adult Curriculum offers Open Ballet-Elementary level. What is the difference between Ballet and Jazz? Both Ballet and Jazz are dance forms that balance freedom of movement and expression with attention to technical detail. However, the specific technical requirements and class structure are different between the two disciplines. Ballet is a classical art form practiced to classical music and Jazz is a contemporary art form practiced to contemporary music. At WSD we teach Vaganova method and follow the syllabus outlined by the Society of Russian Ballet for exam purposes. We also have our own in house syllabus for all levels and disciplines within the School. WSD has an exclusive school uniform which can be purchased on the premises at The Boutique. The uniform consists of a leotard, tights, optional skirts and sweaters. Members of Open Ballet are encouraged to wear form fitting clothing that is easy to move in. All classes require footwear specific to the dance discipline. Ballet, Jazz, Tap and Hip Hop shoes are also available at The Boutique. At what age do you accept students? At WSD we accept students aged 3 to 103. Students must turn three years old by December 31st of the current year. For more information and to register, simply telephone us at 905–851–5511 or drop by and see us. No appointment is necessary. Are there any prerequisites to take dance classes? No. At WSD we believe that the discipline, physicality, and artistry of dance can benefit all people regardless of prepossessed skills or abilities. How is the school year set up? Similar to academic schools, our classes run from September to May. Thus, the curriculum for each level is based on 9 months of study. Late registration is considered on an individual basis. Summer classes and workshops are available. Students are assigned to levels according to their ability, age, prior dance training, and individual assessment by a qualified WSD faculty member. Do you participate in competitions or performances? At WSD we do not participate in dance competitions as we choose to focus our time and energy on the values of personal enjoyment, individual achievement, and artistic integrity. We do believe, however, that performance is a valuable and essential part of a dancer’s training and so in the Spring we put on Gala Performances where our students have the opportunity to show their talents and achievements. For payment purposes, the year is divided up into three terms – fall, winter, and spring. The fees per term are dependent on several factors including: number of classes registered in per week, duration of the class, and program of study. There may be additional costume and exam fees if applicable. Graduating students at The Woodbridge School of Dance, who are continuing on to study dance full-time at a recognized post-secondary institution, may be eligible to receive The Woodbridge School of Dance Scholarship. Supporting the education of dance, the recipient of this award will receive five hundred dollars which will be used towards tuition payment. Students interested in applying for The Woodbridge School of Dance Scholarship must complete an application form (posted in the link below). The recipient of this award is based on a review of their application form as well as their outstanding and consistent commitment to dance. Cirque Du Soleil exemplifies the acrobatic finesse of dancer and gymnast in a seemingly effortless series of lifts, aerials, air steps, somersaults, knee–drops, splits, butterflies, cartwheels, flips and spins. From its Italian roots in Adagio, Acro reaches beyond the traditional combination of steps done to slow music. Today, this thrilling performing art form requires extensive training in proper technique, but is one of the most entertaining to watch. A combination of dance and gymnastics, The Woodbridge School of Dance’s Acro lessons target the artistic and controlled use of movement, strength, agility, balance and flexibility. Students will learn the key techniques to execute accurate movements and assure safety. It is highly recommended students in the Primary and Junior levels of Acro enroll in a Ballet and/or Jazz class to keep up with the dance requirements of this program, as it is a requirement in the Intermediate, Senior and Advanced Acro levels. Age Requirement: 6 years and older. The earliest known ballets were lavish costumed and masked events performed in Italy’s renaissance courts. From here, France gave birth to its own brand of ballet in 1581 with the first complete score that survived. Ten years later, Louis XIV opened the Academie Royale de Danse, the first recorded school of ballet. It is here where the masters were born and where the court ballet opened the doors to professional dancing. Ballet is at the core of The Woodbridge School of Dance’s curriculum; it is the place from where all dance forms were born. To master ballet is to master all dance and our programs are among the most comprehensive in Canada. Our classical ballet teachers are highly skilled and trained dancing professionals. Beginner students will receive a rewarding and exciting experience in the technique of classical ballet, from the study of basic feet, arm and body positions to the introduction of the “barre”. Here, the fundamentals – ballet exercises, centre practice and dance step combinations – reinforce traditional classical ballet. In the senior level, pupils will develop the technical, artistic and performance skills of the adagio, pirouette and allegro, the prerequisites for eligibility into WSD’s advanced pointe classes. Contemporary dance was developed in the early 20th century as a reaction against the rigid techniques of ballet. Pioneers such as Isadora Duncan and Martha Graham searched for ease of movement using the body’s natural lines and energy, allowing a greater range and fluidity of movement than conventional dance techniques. Contemporary dance differs from ballet, jazz dance, and modern in that it is concerned not with a defined style but with the development of new, more individualized approaches to the moving body and choreographic possibilities. Contemporary dance can be danced to almost any style of music, or united with other dance forms to create new styles of movement. Contemporary dance is a name given to a group or mix of Modern 20th century theatre dance styles, thus is not characterized or limited to one specific dance technique per se. The study of movement as it relates to the human body and body/mind inter-relationships will be explored. It is a non-story dance, which means it is open to interpretation. It’s fresh, stimulating and risk-taking. Age Requirement: 11 years and over who are currently registered in or have completed Level 7 dance. In the summer of 1983, New York City was abuzz with a fad that would become an art form and a revolution in dance. Its name was Rap and it took America by storm. Today Rap is just one component of a larger pop culture called Hip Hop, a street world that embraces break dancing, attitude, baggy clothes, graffiti and its own “speak”. DJs like DJ Blaze brought hip hop to the forefront in the early ’90s, culled from the cult classic Beat Street. Contemporary and distinct, hip hop is high energy attitude on the dance floor. The Woodbridge School of Dance offers hip hop training to a strong beat, helping to build stamina, improve physical fitness and coordination. With its emphasis on body isolations, freestyle movement and rhythm, hip hop combines today’s best music with the movements of the hottest music videos. Although it is not a prerequisite, students would benefit from enrolling in an additional ballet or Jazz class to keep up with the physical demands of this class. Bob Fosse made it a household name on Broadway and in the movies. And even though jazz has its roots in the ballet technique, it is a forever–changing genre of creative movement that exploded in the 1920s after World War 1. From the days of the “flapper” to the “lost generation” of young soldiers returning home from the battlefields to New Orleans, St. Louis and Memphis, jazz became the dance of choice. It was and is the vehicle for dancing the shimmy, the rag, the Charleston and the fox–trot. Jazz is the dance of the “Big Band” era, and today it is more popular than ever. The Woodbridge School of Dance is proud to present a jazz program that is spirited, contemporary and comprehensive, designed to give students the technique, rhythm and style basics to progress to advanced combinations and explore different jazz styles. From warm–ups to traveling steps and combinations, jazz is most enjoyable if students also study ballet. Musical Theatre is a unique form of entertainment that integrates words, music and dance to communicate the emotional and story content of a stage piece. Hob on the Wall, the first full–length stage musical, debuted in colonial America in 1735, a time when musical theatre was usually accompanied by a pint of ale. From the long–running Fantasticks to The Sound of Music, Cats, Rent, West Side Story, Les Miserables, Oklahoma! and Phantom of the Opera, musicals continue to delight audiences on the stages of Broadway in New York and London’s West End. For everyone who loves to sing, dance and act, The Woodbridge School of Dance offers one of the best musical theatre programs in Canada. Students will learn to develop their performance skills and nurture the unique relationship between performer and audience as they study the choreography of many popular musical productions like Annie, Chicago and High School Musical. It is highly recommended students in the Primary and Junior levels of Musical Theatre enroll in a Ballet and/or Jazz class to keep up with the dance requirements of this program, as it is a requirement in the Intermediate, Senior and Advanced Musical Theatre levels. Pointe is the crown jewel of ballet, a very difficult but exquisite part of this classical dance form. In pre–World War 1 Europe, it was Russia’s young Anna Pavlova who turned the dance world on its heels in the early 1900’s, revolutionizing the genre forever and transformed herself from ballet dancer to prima ballerina with a single curved arch of the foot and toes. In elevating the pointe dance form, she defined the beauty of the ballet and the strength and extension behind effortless pointe work. Like her contemporary, Isadora Duncan, Pavlova reached beyond ballet’s confinements into ballet’s innovations. Pointe is the most highly disciplined and physically challenging extension of ballet. Only technically proficient senior level ballet students who have mastered the skills of basic and advanced movement and positions will be selected to study pointe work. Physicality, stamina, stability and coordination will all be considered criteria. Pointe students must attend a minimum of two ballet classes per week in order to keep up with the technical demands. Street Swing – urban and raw – is tap dance’s middle name. Popularized by the greats like Bill Robinson, Bo Jangles, Gregory Hines and King Rastus Brown, tap is a step dance tapped out loud with hard–soled shoes or shoes with taps added to the heels. For African Americans in the U.S., it replaced the drums as the rhythmic and traditional code of physical expression. It is subtle, intricate and fast. From its first reference in 1928, modern tap grew from the “buck and wing” style of British and Irish clog dancing to spawn the famous Shuffle Dance. The Woodbridge School of Dance offers a detailed and exciting tap dance curriculum that teaches students how to use the body as a rhythm instrument. Emphasizing footwork and sound, our tap classes help to develop agility, musicality and stylized movement. Each lesson includes all the basic exercises, movements, time steps and razzmatazz, making tap an ideal dance choice. Pupils are encouraged to also study ballet and/or jazz as they make perfect companions to tap. Age Requirement: 6 years and over. For three to five year–olds, this Division introduces young children to the joys of dance in a nurturing and encouraging setting where they participate in creative movement, drama and music. Gaining a true appreciation for the art of dance, students will learn rhythm, flexibility, musicality and muscle coordination. Classes are specifically designed for the needs and development of children six years to nine years old and at Levels one to four. In an environment that fosters friendship, teamwork and dance appreciation, young children are registered as recreational students, and attend weekly classes with a focus on fun and physical fitness. In their first experiences with the dance form, pupils will learn the primary basics of technique in foot, arm and body movements. For students 10 to 19 years old, at Levels five to eight and Open Senior and Senior/Advanced Dance classes, the Senior Division offers weekly classes with a focus on fun and physical fitness. As pupils learn more advanced steps and combinations, fundamental skills emerge in a polished and enhanced training regimen. Senior ballet students are afforded the opportunity to study pointe upon recommendation. This Division offers the best of both worlds – as a complete workout and a one–of–a–kind forum for learning ballet and pointe. For the seasoned veteran or professional, the Open Dance and Fitness Program is designed to keep up peak motivation. In each class, students will expand their sense of rhythm, style, flexibility and coordination in a non–competitive setting. An exciting feature of The Woodbridge School of Dance’s Curriculum, the Intensive Training Program (ITP) is created for selected children from seven years of age to 11 and at levels designated as Primary, Junior and Senior. Students with an interest in ITP must meet and maintain the core qualifications of suitability, adaptability and commitment. The course offers a minimum of three classes a week and often more. Pupils study comprehensive dance training as they work toward the annual Russian Ballet Examinations. For tweens and teens aged 12 to 18 and at levels designated as Elementary, Intermediate and Advanced, the Pre–Professional Program is the first step to a career as a professional dancer or teacher. Students must be graduates of the Intensive Training Program or successfully audition for placement. To advance through PPP, pupils must demonstrate continuing improvement and dedication to dance. In this course, students are offered rigorous and comprehensive dance training and are encouraged to attend Master Classes, Dance Workshops and the Summer Program at WSD or elsewhere. We believe in classical, non-competitive instruction focused on perfecting technique and developing an appreciation for the art of dance. The Society of Russian Ballet was founded in Canada in 1975 to preserve and promote Russian style training in classical ballet. The Woodbridge School of Dance offers students from six years old the rare opportunity to take the Society of Russian Ballet certified examinations, an important prerequisite for a professional career in the art form. Pupils must attain and maintain high standards in their levels in order to qualify for certified examinations through the Society of Russian Ballet. Each year, examiners from the Society visit the school to mark and grade students on their dancing skills, and WSD attendees continue to receive high grades and worthy recognition that are acknowledged around the world. The school also offers certified teaching certifications, and many WSD graduates who have attained these high scores teach at WSD today. For students who enjoy working with young people, WSD’s Teaching Assistant Program provides a wonderful opportunity for those interested in pursuing a career in teaching and/or wishing to broaden their own dance education. Students’ acceptance into the T.A. Program is based on a review of their application, general enthusiasm and demeanour demonstrated in all dealings related to WSD, plus overall dance ability and technique. Students interested in applying for a volunteer T.A. position must complete an application form (available on our website, woodbridgedance.com) and are required to attend an Orientation Meeting at the commencement of the school year. Participation in the Program may also offer students the opportunity to acquire community involvement hours necessary for the completion of their Ontario Secondary School Diploma. 4th and final Society of Russian Ballet Exam Rehearsal. Tuition fees are based per term (3 month period). Extra fees apply for Russian Examinations and Costumes. To register or for more information about enrollment and tuition please contact the Admissions Office at 905.851.5511. All Tuition Fees for the school year must be submitted in full at the time of registration with either a full year payment or 3 post-dated pre-authorized term payments. Alternate methods of payment may be accepted. Please inquire in the Admissions Office. An annual non-refundable Administrative Fee of twenty-five dollars ($25.00) per student is payable upon registration. A separate payment must be submitted and dated at registration. A 5% late charge will be applied to payments overdue by thirty (30) days. If a tuition payment is overdue in excess of sixty days, a student will not be allowed to attend classes until the balance is paid in full. If your Woodbridge School of Dance (WSD) account is pre-authorized, please notify The Admissions Office in advance of any changes to your credit card number or expiry date. Please notify The Admissions Office five (5) days prior to the payment date if a change in method of payment is preferred or required. A $25.00 (+HST) Administration Charge will be applied to your account for any pre-authorized credit card transaction declined by the issuing institution, regardless of circumstances, or for any dishonoured cheque returned from your banking institution. A 5% Sibling Discount is offered to all siblings belonging to the same immediate family, upon submission of a complete and regular tuition fee payment for the first child. If the tuition fees differ, the discount will be applied to the lower amount(s). A discount is offered to all students registering in more than one class per week. All ITP students are entitled to a 20% discount on all additional classes, over and above their required classes. A non-refundable pre-authorized year-end performance costume(s) payment dated November 1st must be submitted at registration, at the Junior or Senior rate. After November 1st, performance costume fees are non-refundable. One additional performance finale costume, payable at the senior rate, will be required for all students enrolled in the Intensive Training and Pre-Professional Programs. In order for a student’s request for performance rescheduling to be considered, written notice must be submitted to The Admissions Office prior to November 1st. However, due to the complexity of performance scheduling, WSD cannot guarantee your request will be accommodated. A pre-authorized payment must be submitted upon registration according to the fees set out by The Society of Russian Ballet. Post-dated cheques will be returned in the event of a cancellation provided written notice has been submitted to the Admissions Office five (5) business days prior to the cheque processing date. No refund will be given for the unused portion of a partially completed term. In the event of a cancellation in the Fall Term, a tuition credit may be issued if cancellation occurs prior to November 15th. No credit will be issued after November 15th. A $25.00 (+HST) Administration Charge will be applied in the event of a cancellation. Written notice must be submitted to the Admissions Office in the event of a withdrawal. NON-ATTENDANCE IS NOT ACCEPTED AS A CANCELLATION NOTICE FROM ANY CLASS OR PROGRAM. REFUNDS OR CREDITS WILL NOT BE ISSUED FOR MISSED CLASSES. Payment must accompany registration to confirm class placement. Students who are not fully registered (outstanding accounts) and not appearing on the attendance list will not be permitted to participate in class. Registration is based on a first come, first served basis. Registrations cannot be accepted for classes that have reached capacity. Late registrations are accepted only at the discretion of the teaching faculty. WSD reserves the right to combine or cancel classes in the event of low attendance. Class schedules are subject to change. Classes missed due to illness may be made up in a comparable class within the current term. In the event of inclement weather, it is the responsibility of the parent/student to check our social media posts, WSD’s website or to contact the school directly, weekdays after 1:30pm, 8:30am on weekends, on the day in question to determine the status of classes for that day. In the event of cancellation due to inclement weather conditions, classes missed will not be made up. All students wishing to participate in a trial class must first register through The Admissions Office prior to the start of the class. Students must subsequently register in order to continue attending that particular class (providing the class is not full or upon discretion of the teacher). All students currently registered in a class and wishing to change classes must first check with The Admissions Office before participating in the new class. Students may not be able to switch classes if the class is full or upon discretion of the teacher. All dance students are required to wear The Woodbridge School of Dance uniform to all classes. Students registered in a Russian Examination class are required to wear the designated WSD tank leotard to all classes, rehearsals and examinations as well as leather ballet slippers for the examination. Students are to have their hair up in a secure bun (with a WSD headband, if appropriate) for all ballet classes, and up off their face and neck for all other dance classes. A teacher may deny a student’s entry into class if the student is not properly dressed in WSD uniform or their hair is not properly secured. Uniforms may be purchased on the premises at The Boutique. WSD respects the safety of all its students, therefore all nuts and nut-related products are strictly prohibited on WSD premises and at all functions where WSD students are in attendance, e.g. Dress and Technical Rehearsals and Performances. All students are asked to arrive to their class 10 minutes prior to their specified class time, in proper uniform and prepared for class. For the purpose of injury prevention and out of respect for your fellow dancers and teacher, students who arrive late may be asked to observe class only. Please do not bring valuables to the School. Regretfully, WSD cannot be held responsible for lost or stolen items or for items left on our premises. Please inform the office of a change of home or email address, phone /cell number or a change of emergency contact information. It is imperative that all WSD students and parents respect WSD’s Code of Conduct. WSD reserves the right to expel any parent or student for disruptive, disrespectful or illegal behavior. Students who are expelled from classes are not eligible for tuition or costume credit or refund. The Woodbridge School of Dance recognizes that in order to achieve its vision, the environment it provides must be one which demonstrates respect, tolerance, dignity, equity and safety for all members of the WSD community. WSD promotes responsibility, respect, civility and dance excellence in a safe learning and teaching environment. Every WSD Student and Parent is expected to behave in a respectful and professional manner in all dealings related to their enrollment. Any form of discrimination or harassment is strictly prohibited and the School considers all complaints seriously. Behaviour that is disrespectful, offensive, intimidating or humiliating, either intentional or otherwise, will not be tolerated. Proper dance attire must be neat and form fitted so that proper body alignment can be observed. Students are expected to attend ALL classes in full WSD uniform. Proper footwear (in good condition) is required in each class. Jewellery is not allowed, except for small pierced earrings. Students are not permitted to wear undergarments with their uniform, with the exception of bras. Bra straps must be clear or concealed and match the colour of the uniform. Students who arrive wearing clothing that does not adhere to the outlined specifications may be asked to change or observe class on that day. All WSD uniform attire, with the exception of pointe shoes, is available at The Boutique located next to the Admissions office. Please note: Students may be required to purchase an alternate colour or style of dance tights for Performance purposes. With one hand, gather hair into a “bunch” at the back of your head. With the other hand, lightly spray hair around head with water. Neatly brush hair into a light ponytail and secure with covered elastic. Ponytail should be nolower than the middle of the back of your head. Use the side of brush bristles (or a comb) to smooth hair towards ponytail. Spray hairspray evenly around head. Twist ponytail and begin to coil hair around elastic. Insert hairpins every inch or less with some hair from ponytail and some from head in each pin. Coil hair into a bun a bit at a time, insert pins, coil a bit more, insert more pins, etc. until all of ponytail is wound around to make a “snail coil” that is as flat against head as possible. Wrap hairnet around bun, doubling to tripling net according to size of bun. Add a few extra hairpins to ensure that bun is closely attached to head. If needed, insert bobby pins on top or sides of head, or below bun, to secure wispy pieces in place. An additional, very light spritz of hairspray may be used if needed. Procedure – Shorter Hair that will fit into a short Ponytail. Follow steps 1-5 for Long Hair Procedure. Braid ponytail as far as possible, then secure end with another covered elastic. Fold end of braid under and press it flat against head. Secure in place with hairpins. Follow same pinning procedure (Steps 6-10) as for Long hair. Put a circular, black or pink fabric hair band around head to keep hair off face. If possible, make a small ponytail low at back of head just above hair band. Insert one bobby pin behind each ear to hold hair band in place. Click Here to find your rehearsal time. Click Here to find out about everything happening at WSD this spring! Find your rehearsal time in the document attached below! Click here to download a copy of the performance DVD order form.